Here I am again with my current look of the day, I can't keep my eyes off these sparkly beauties. Taking a picture that truly showed off the sparkle was very difficult because it is so high shine and glittery! 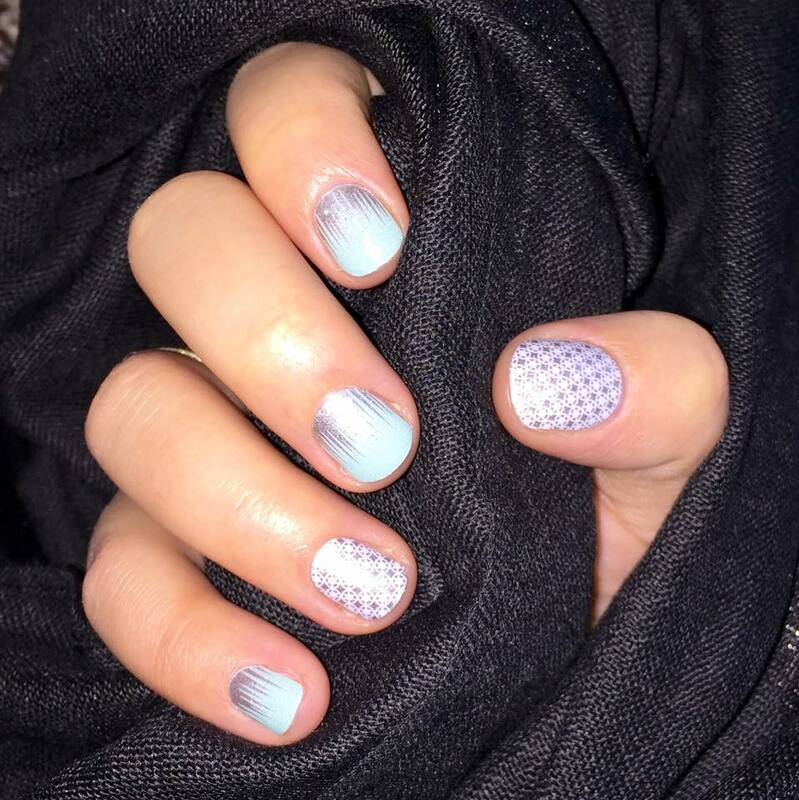 Displayed in the picture is Jamberry - Iced & First Frost.